If you ever want to win your Grammy pool, there’s a great rule of thumb for striking gold. To predict the winner in any category on “music’s biggest night,” choose the whitest act. This shortcut would have easily predicted previous winners in the Best Album category like the Dixie Chicks, Taylor Swift and Norah Jones. It even helps explain how Herbie Hancock shocked the recording industry by winning Album of the Year in 2008. The influential pianist, composer, bandleader and jazz icon was rewarded for covering some of Joni Mitchell’s most beloved songs, as his album paid tribute to her work. He wasn’t white, but what’s whiter than Joni Mitchell? River: The Joni Letters also featured collaborations with Norah Jones and Leonard Cohen, similar to 2005’s much-lauded Genius Loves Company. Ray Charles finally hit Grammy pay dirt by making a duets album that featured Jones, Diana Krall, James Taylor, Van Morrison and Michael McDonald, all of whom are exceedingly Grammy friendly. A soul legend got Grammys for hanging out with white folks. On Grammy night, a lot of people both expected and wanted Frank Ocean to walk away with arms full of Grammys—like Adele and Norah Jones. In addition to creating what is widely regarded as the best album of 2012 (and a soon-to-be contender for record of the decade), Ocean was a media darling last year. Frank Ocean’s very public coming out was a landmark moment in a music industry unreceptive to change, and the critical and commercial success of Channel Orange proved that he was a music force to be reckoned with. Not only is Ocean our first successful queer rapper or R&B performer, he’s an icon to millions of people who know they don’t have to sacrifice their identity for fame. If this were the Oscars—where winning is all about running a great campaign and it being “your year”—Ocean would have had that on lock. Ben Affleck and Argo are about to win for the same reason that Helen Mirren won for The Queen and Kate Winslet finally got her Oscar for The Reader. It was considered their time. But that’s not how the Grammys work. Other than Adele, who was a media force to be reckoned with at last year’s Grammys, there was nothing “of the moment” or inevitable about wins for Kings of Leon or Lady Antebellum. In the case of the latter, it was one of the least acclaimed songs in the category and arguably the least successful. The “it’s time” win would have gone to Eminem, whose “Love the Way You Lie” was a huge smash on an acclaimed album. When Robert Plant and Allison Krauss won Record of the Year in 2009, they won for the only song in the category that wasn’t a hit. Robert Plant hasn&apos;t been relevant for decaides, and Krauss is the winning-est woman in Grammy history. She hardly needed the award. Although U2’s 2001 win in the same category for “Beautiful Day” is understandable, as it was a critical and commercial hit, their repeat win the following year for “Walk On” makes no sense. The tune never reached the Hot 100 and was nominated against both Alicia Keys’ “Fallin’” and Outkast’s “Ms. Jackson.” The latter tune won that year’s Pazz and Jop poll, the most prestigious music critics’ list in the country, and the former was the second-biggest song of the year. Both of these tunes had that magic combination of critical praise and deafening popularity and would go onto become classics. Even a lot of diehard U2 fans forget “Walk On” was a thing. Great band, meh song. The Grammys doubled down on the race criticism this year by not nominating that many people of color in the major categories at all. Frank Ocean and Miguel got nods in the major categories, but the rest of the nominations went to traditional Grammy fare like The Black Keys, Mumford and Sons, fun., Kelly Clarkson, and Taylor Swift, none of which would offend your grandmother. Janelle Monae got a nod for being in two seconds of "We Are Young." Such are the Grammys way. Team Frank Ocean expected the overcrowding of whiteness to make way for his win, as the white people might cancel each other out. However, when wins for fun. and Gotye were called out, I wasn’t surprised. Both songs were extraordinarily popular on top of being good, and Gotye might never be up there again, as that song’s hyper-success was a miracle to begin with. This would be their only chance to honor him. But Mumford and Sons’ win was the clincher for me that the Grammys have a problem they need to kick. The Grammys are addicted to white people. To put it in context, Mumford and Sons got Album of the Year for Babel, the follow-up to their acclaimed Sigh No More. Sigh No More was one of the biggest albums of last year, and if not for Adele winning, it would have been a shoo-in for an award. But the band’s sophomore record was largely seen as a disappointment and garnered none of the original’s genre-reigniting buzz. Mumford and Sons knew a lot of people loved Sigh No More, so they gave them that record again. It was a shrewd move and hardly worth placing into the history books. Unless you place the album’s win in the context of race, their win makes no sense. Although the album was the fourth-biggest of the year, it sold far fewer copies than its predecessor and was the second worst-reviewed release in the category. Fun.’s Some Nights wasn’t as well-received (by a slight margin), but it spawned two huge singles off the record, whereas “I Will Wait” struggled to gain a foothold on the radio. 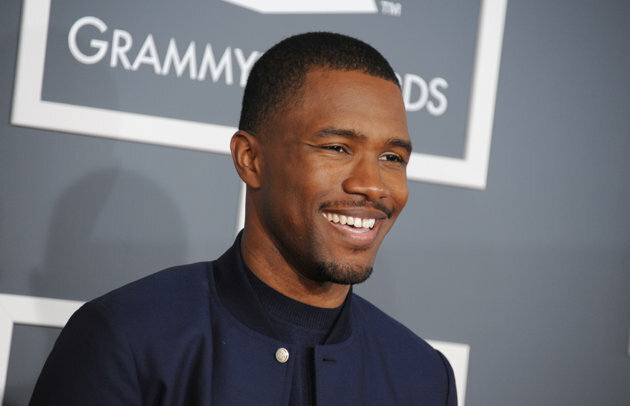 Channel Orange and El Camino both were commercially successful, while spawning moderate hits. I could go on, but it’s just shooting fish in a racist barrel. Before the internet gets upset that I dared to call the nation’s highest music honor racist, I’m not the first one to suggest that the Grammys have some huge issues in reflecting the eclectic nature of our era. The Grammys’ race problems are indicative of an awards show that’s increasingly out of touch with the industry it caters to, one that looks at the evolving times and reacts by retreating further into its shell. It wasn’t always this way. The 70s saw three Album of the Year wins for Stevie Wonder, and the category honored Quincy Jones, Natalie Cole, Whitney Houston and Lauryn Hill in the 90s. Contrast that with today, where the last time non-white people won Album of the Year (without assists from a bunch of white people) is 2004, when Outkast won—while being snubbed for both Song and Record for the year’s most beloved song. (Remember what a big deal “Hey Ya!” was? 2004 was a fun year.) Instead, those awards went to Coldplay for “Clocks” and Luther Vandross and Richard Marx for “Dance with My Father.” Once again, it’s a lot easier to give black people (Vandross) things when white people (Marx) get to share the glory. It’s like The Help, but for music. Quick quiz: Do you know how many rap or hip-hop artists have ever won Song or Record of the Year at the Grammys? None, in the history of the show. The bigger issue is that while the problem continues to intensify, nothing ever changes and the show continues to dodge accountability. No matter how often the Grammys get called out for being color challenged, they refuse to rectify the problem—or admit they even have one. While ostensibly celebrating the music industry, they continue to laud what is safe, palatable and white—letting Alicia Keys, Bruno Mars, Miguel and Wiz Khalifa peform, to make people of color feel “included” in the show. Too bad that a lot of their categories get left off the air or cut for being too "ethnic." At the Grammys, it’s not enough to have faces of color onscreen—and let them accept the smaller category awards off. The problem is bigger than Frank Ocean. It’s bigger than Alicia Keys or Nas or Kendrick Lamar or the other black voices that go home unrewarded every year. We have to let them win every once in a while, or the music industry’s will continue to give America a show no one wants. Instead of celebrating whiteness, we have to start celebrating change. Need somone to pine over Frank Ocean with? Follow Nico on Twitter @Nico_Lang or Facebook. Nico Lang blogs about LGBTQ life in Chicago for WBEZ.org.